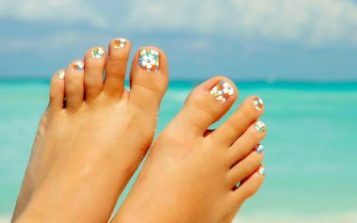 Ocean Retreat offers 3 pedicure packages for your nail care needs. The Luxury Package includes Cuticle Care, Callus Softening, Hot Towel Wrap and Polish. The Luxury Package includes Cuticle Care, Callus Softening, Exfoliating, OPI Scrub, Detoxifying OPI Mask, Moisturizing OPI lotion, Hot Towel Wrap and Polish. The Ocean Retreat Special includes Cuticle Care, Callus Softening, Exfoliating, House Special Scrub, Detoxifying House Special Mask, Moisturizing House Special Lotion, HOT STONE MASSAGE, PARRAFIN BATH, Hot Towel Wrap and Polish.